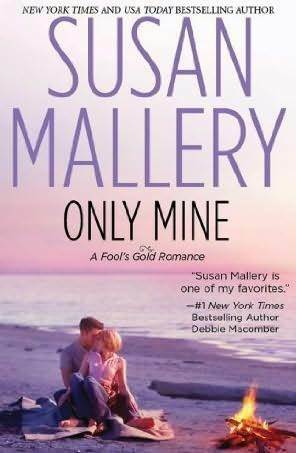 My Thoughts: Only Mine is Book #4 in Susan Mallery's contemporary romance series which is set in the sunny small town of Fool's Gold in California. 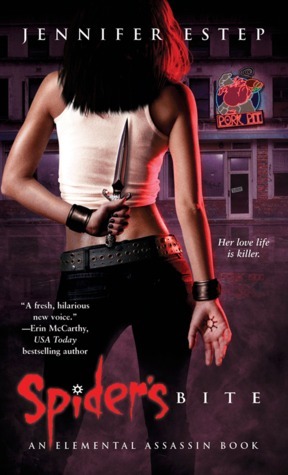 Don't let the fact that you haven't read the previous novels in the series scare you away, because the books can be well enjoyed as stand alone novels, and with Only Mine a smaller story arc begins: the story of the Hendrix triplets, so you'll join the party just at the beginning. You see Sasha and Stephen, the young twin brothers of Finn (the hero) dropped out of college just a semester before graduation to appear in the TV show and Finn as responsible older brother (and sole guardian of the boys after the death of their parents 8 years ago) flies in to try to persuade them to finish their education and not waste their life on such a silly thing. "To repeat a cliché, if you love something, set it free." He stared into her dark eyes. They were an interesting contrast to her wavy blond hair. "If it comes back, it was meant to?" He managed a smile. "No, thanks. I fall into the ‘if it doesn’t, hunt it down and shoot it’ category." "... I have to kill my brother. And Geoff. What the hell. If I’m going to jail for murder, what difference does the second one make? Doesn’t everyone like a two-for-one sale?" "Go, Finn. You’ve done all you needed to. We’re ready to be on our own." They weren’t. That’s what killed Finn. They were too young, too determined to screw up. If he wasn’t nearby, how could he keep them safe? He would do anything to protect them. As an older sister (I also have two younger ones like Finn), I completely get all his worries, the heavy weight of responsibility and how serious he is about putting his brothers first. It is innate to an older sibling and his determination does him credit. He has an enormous and generous heart and he is incredibly selfless, all due to having been in charge of bringing up his brothers from an early age. And Susan Mallery's portrayal of him is spot on and utterly realistic. "Let me guess. You’re one of those people who calls rain ‘liquid sunshine.’"
Dakota is a psychologist and though I know it is particular to her trade, her constant (over)analysing of Finn and his brothers and their relationship grated on my nerves a bit, so I can't even imagine how irritating it must have been for Finn. I would have liked to see more of the sisterly interactions, and found it weird that even though the three sisters are described as being close to each other, Dakota took half a year before confessing her big secret and sharing her sorrow with her sisters, especially since they are triplets and share that special bond. I couldn't connect with Dakota as well as with Finn, but I enjoyed that they first started out as friends and their relationship evolved gradually, that both of them took it as a simple, uncomplicated fling while Finn was in town. Only Mine is a romance novel featuring three couples, and though Dakota and Finn are definitely the main characters, the other couples also get enough spotlight, which I confess I enjoyed a lot and made Only Mine quite unique in this aspect. Stephen and Aurelia's blossoming relationship was sweet and completely unexpected, I would have liked them to get even more "screen time" as their interactions portrayed perfectly the slow and sweet development of a pure and genuine romance, which was moving in its innocence. Verdict: Fool's Gold is an adorable small town where the people are friendly and are there for each other. Susan Mallery's series is a heart-warming, light, feel-good, sweet and fun contemporary romance series I'm sure all small town romance lovers will enjoy. I look forward to reading the remaining two sisters' story and thankfully I don't have to wait long as Only Yours will be released on 30 August and Only His on 27 September 2011.